Steve, considering early retirement, had just met with his company's retirement specialist. He learned that if he worked two more years, until he was 65, his pension would be worth 15% more than if he retired now. "That's a lot of money, Susan!" he said to his wife. "But then ... shouldn't we do some traveling now, while we both have our health?" Susan agreed: "We have to figure out a way to make it happen." 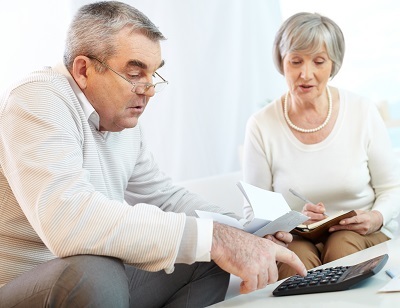 She pointed out that they both had retirement plans and savings; Steve had a 403(b) plan and she had a 401(k) plan in addition to her savings account. It was hard to know where to start. Neither one of them knew how much it would cost to live in retirement. Click on the "PLAY" button to listen to the story. Investment and insurance products and services are offered through INFINEX INVESTMENTS, INC., Member FINRA / SIPC Infinex and the bank are not affiliated. Products and services made available through Infinex are not insured by FDIC or any other agency of the United States and are not deposits or obligations of nor guaranteed or insured by any bank or bank affiliate. These products are subject to investment risk, including the possible loss of value.